The Zi Series are the utility version of the Z range of steps without the extra trim finishes. They come only in manual version and in two widths. 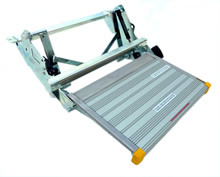 These steps have all the facilities of the Z manual range of frame steps and are priced extremely competitively. 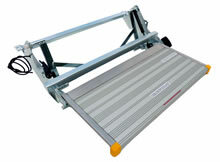 They can be supplied with yellow painted alloy treads and also with powder coated punched steel treads to cope with heavily soiled boots. Fitting kits are the same as for the Z Series.